The global incidence of chronic wounds — holes in the skin that can persist for weeks, months or years — is rising rapidly: in the United States alone, more than 6.5 million patients live with non-healing wounds. 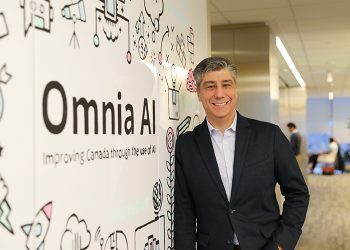 Carlo Perez (CompE 0T2 + PEY), co-founder and CEO of Toronto-based Swift Medical Inc., believes that machine vision and artificial intelligence can help. Chronic wounds have many causes and aggravating factors, including a rapidly aging population, increasing rates of obesity and a global pandemic of diabetes. “More people now live with chronic wounds than with lung cancer, breast cancer, colon cancer and leukemia combined,” says Perez. Despite their prevalence, accurate methods for assessing chronic wounds and tracking their progression have been slow to develop. This makes it difficult to judge the effectiveness of a given treatment, or make a timely decision to changing a course of treatment. To reduce this error rate and transform wound care, Perez and his team have built Swift Skin and Wound, a wound care management software. It measures and visualizes wounds with a smartphone, as well as digitizing and automating the entire wound care workflow. Perez describes Swift Skin and Wound as a “tricorder for wounds.” Users simply hold their phone’s camera over the wound while the app takes several high-resolution photos. The photos are then knit together into a 3D model that provides detailed measurements on the size and depth of the wound. Algorithms within Swift Skin and Wound compare images and data captured over time to give clinicians a visual and textual view of the wound’s healing progress, along with recommended best practice approaches. At the same time, wound care data flows automatically to the healthcare facility’s electronic health records and administrative systems. Swift Skin and Wound even populates medical insurance claims forms, reducing data entry time for administrative staff. The machine vision technology at the heart the system is similar to that used in space exploration — no coincidence, as team member Justin Allport (EngSci 0T3) previously designed systems for NASA’s Mars Science Laboratory, better known as Curiosity. Automating and standardizing key aspects of wound care — which Perez says can cost anywhere from $4,000 to $80,000 per case in the U.S. — is a major boon to both patients and health-care providers. The technology can also help in the delivery of health care to remote areas, and Swift has launched a pilot project with the Cree Board of Health and Social Services of James Bay. Scans of local patients will be sent to wound-care specialists thousands of kilometres away, eliminating the high cost of flying experts into the community. Swift Skin and Wound is now used more than 1,000 clinics, hospitals and long-term care facilities across the U.S. and Canada. 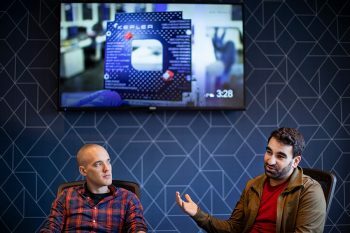 In the past year and a half, Perez has more than doubled his staff to 70 and is looking to hire more talented people, particularly those with engineering and computer science backgrounds. Working in health care may seem an unconventional path for Perez, who previously spent nearly a decade working on 3D graphics accelerators. 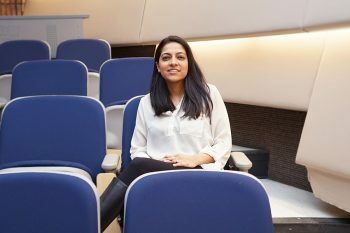 He credits his U of T Engineering education — in particular the Professional Experience Year Co-op (PEY Co-op) program — with preparing him to be nimble enough to make the switch. 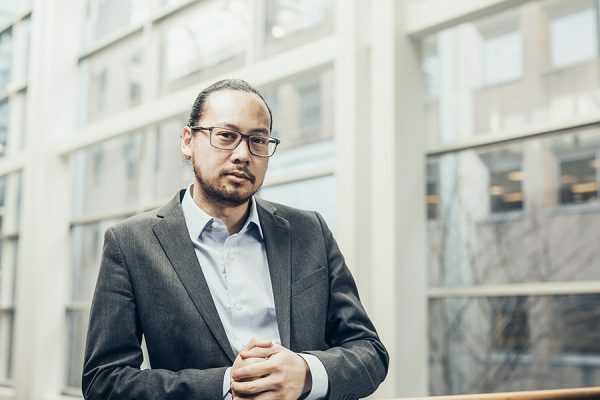 U of T Engineering alumnus Carlo Perez (CompE 0T2 + PEY) shares his entrepreneurial journey on how he went from developing technology to monitor crop fields and paintings to running a successful healthcare startup.